Pittsburgh Steel Fastener has been a leading supplier to the automotive industry for over 40 years. Our company was founded on the desire to create mutually beneficial relationships with our customers. Ones that are built to last. Our extensive line of automotive fasteners, hardware, shop supplies, chemicals and tools ensures the continued success of our customers. We work with a diverse client base, from large dealerships and fleet maintenance companies, to independent body and repair shops. Pittsburgh Steel Fastener's selection, unbeatable service and the competitive prices that we offer are second to none. With a footprint that includes Western PA, Maryland, Greater DC Area, Ohio, West Virginia and Virginia, we are dedicated to offering the best possible service to each of our clients. We stand behind our reputation by consistently providing prompt and dependable service. 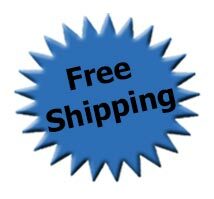 * We offer free shipping on orders over $50.